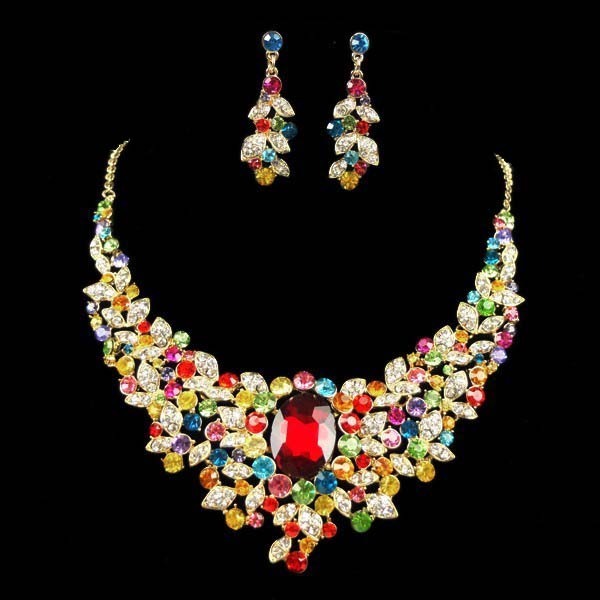 This multi colored necklace set will be a perfect add-on to a little black dress. A large oval faceted red crystal spice up the necklace. Lobster clasp closure, adjustable length. The earrings feature cluster design. Buy this gorgeous piece of costume jewellery online here today.